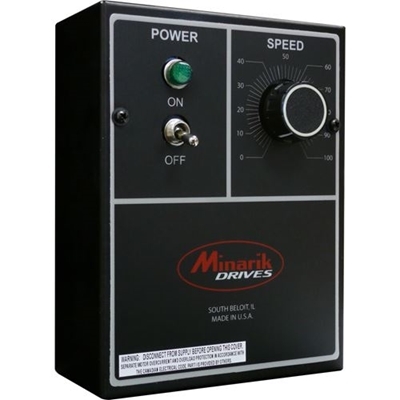 Minarik Drives' MM23111C is housed within an aluminum NEMA 1 enclosure guaranteeing protection from hands, falling dirt or any other unwanted external solid objects that present a hazard. 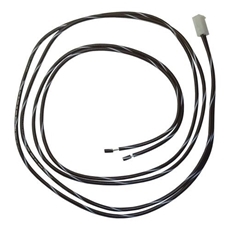 Users make all wire terminations at the screw terminal strip inside the enclosure and operate the drive through the pre-mounted speed potentiometer and power switch. 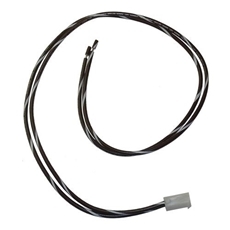 The MM23111C is dependable and adept at controlling DC SCR brush-type motors in variable speed applications from 1/20 to 1/4 HP. Using full-wave rectification of the AC line input, these SCR drives provide a 60:1 speed range. It is a dual voltage drive which operates from 115 to 230 VAC to run 90 or 180 VDC motors.